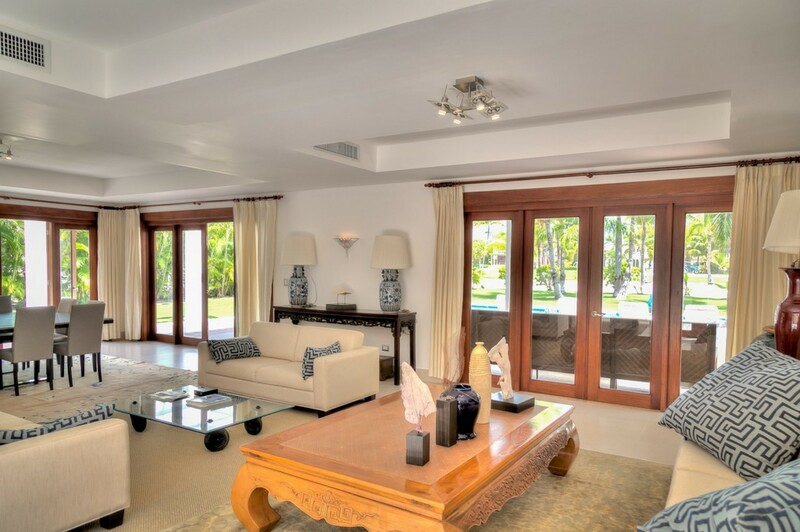 Welcome to villa Tortuga Bay C38, a five bedroom villa located in the exclusive gated community of the Punta Cana resort and Club. This is a 26 Square mile paradise with soul warming sun, miles of unspoiled pristine white sandy beaches and crystal clear blue oceans. 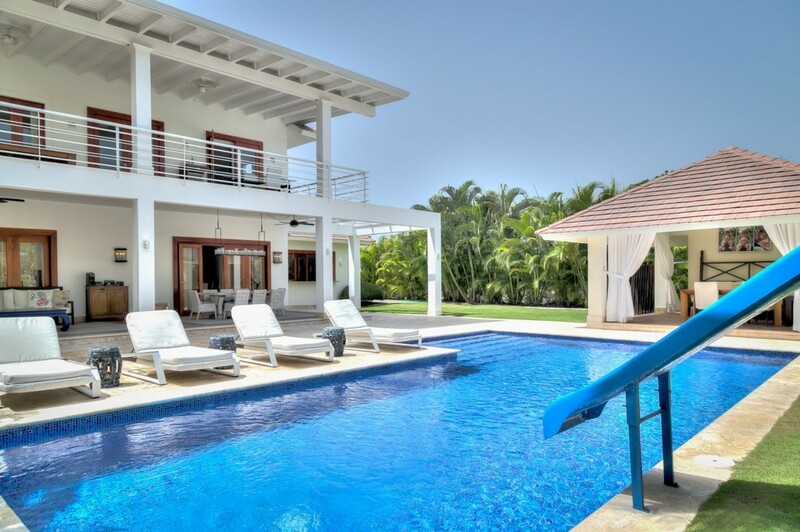 The Caribbean boasts without a doubt, some of the best beaches in the world making Punta Cana the perfect place to vacation and experience the ultimate tropical vacation and make unforgettable memories to cherish forever. 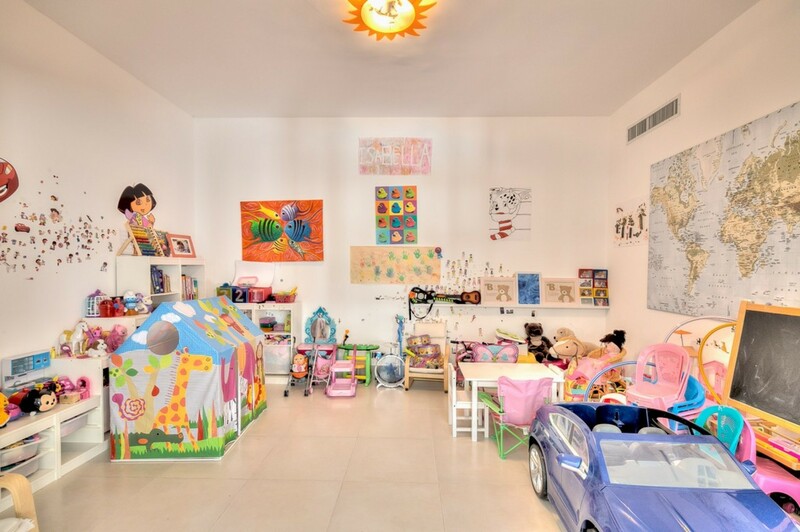 Tucked away in the exclusive Tortuga Bay estate, this villa is the perfect choice for a family with young children as it has a playroom packed with toys including a tent to hide away in, a play car to drive around in, musical instruments and lots of books and art supplies so your little ones can have fun and be creative while on their dreamy vacation. They can even take their favourite doll for a walk around the gardens in the in their toy strollers. 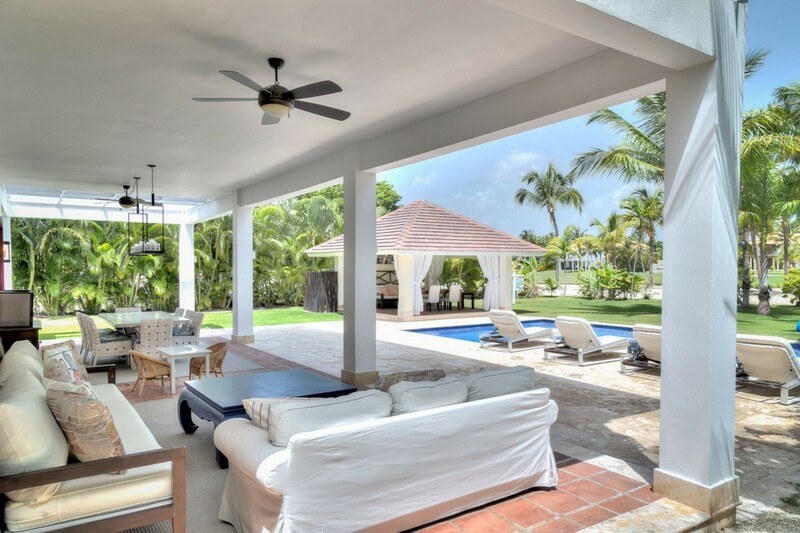 The villas outdoor area is truly spectacular, with clear blue skies and marvellous views of the magnificent La Cana golf course. You can dine al-fresco around the outdoor dining table that has gorgeous white woven chairs and exclusive designer lighting that hangs overhead that sets the perfect ambience for your meal. 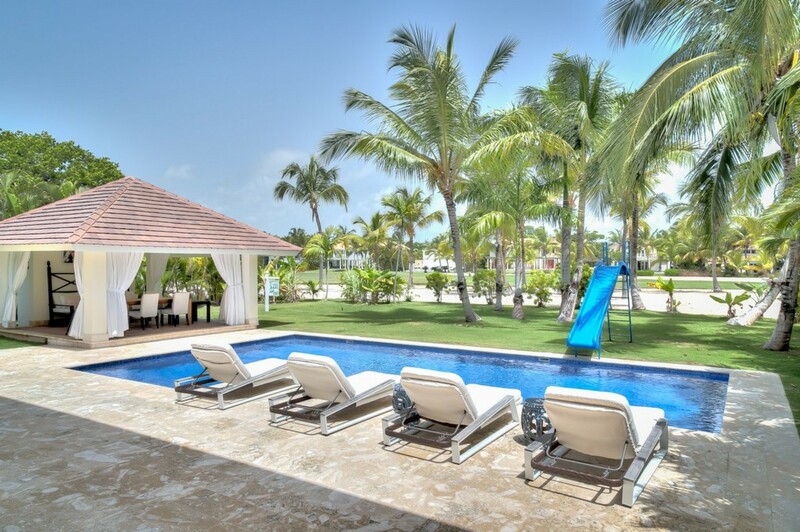 It has its own private pool, so all the family can have lots of fun splashing around, and a slide for the children to play on. 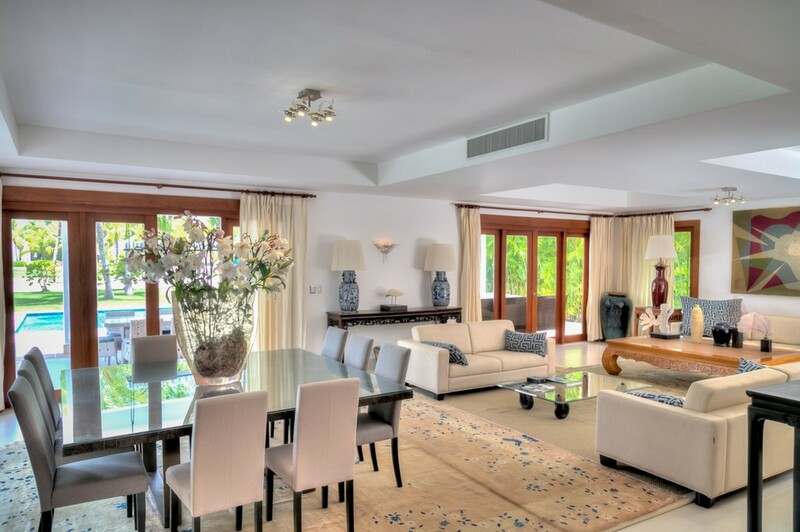 The villa is surrounded by magnificent tropical palm trees and a gorgeous garden packed with evergreen trees and shrubs to enjoy. 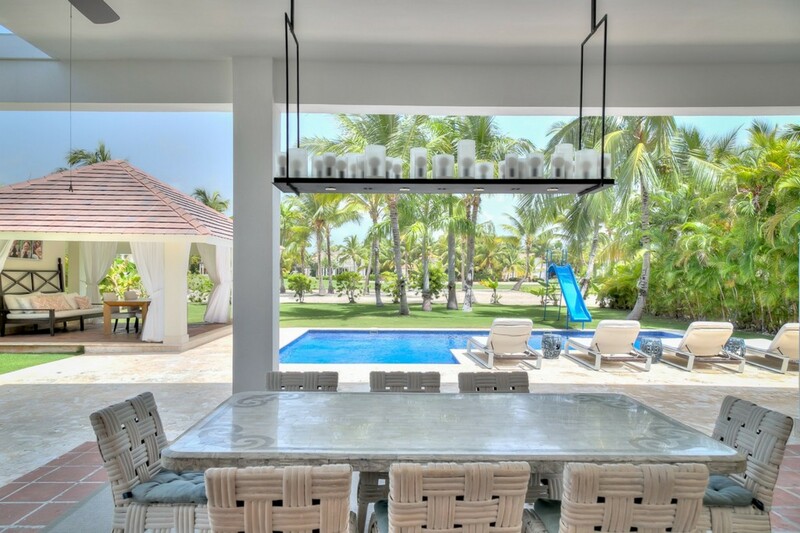 In Punta Cana the sun is always shining, so you can step out of the sun to refresh and enjoy an ice-cold drink under the red tiled roof gazebo. 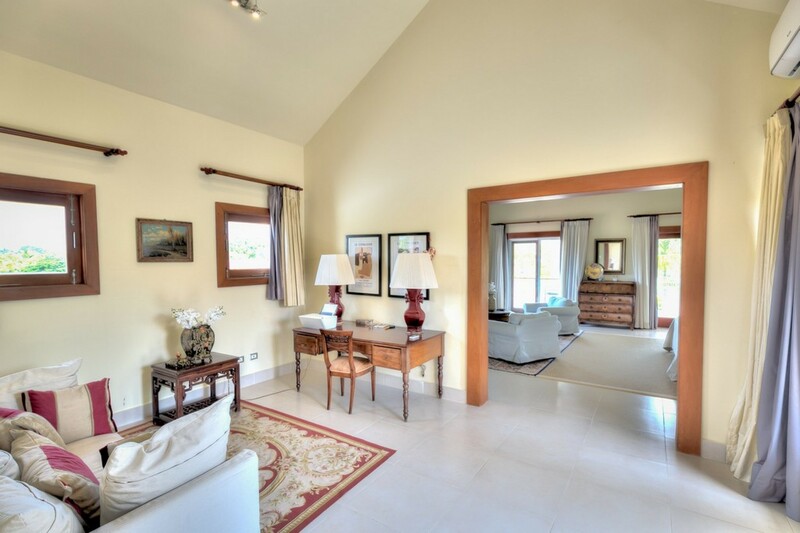 The entrance into the villa has an outstanding foyer that is very bright with glass windows up on the second floor. 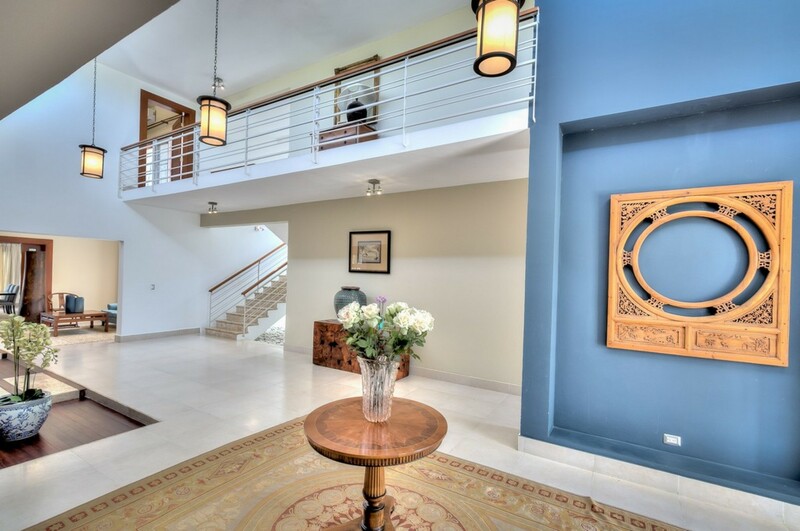 From there you can look down over the banister and into the foyer which is spacious and lavish. Its minimalistic yet warm and you feel immediately welcome. 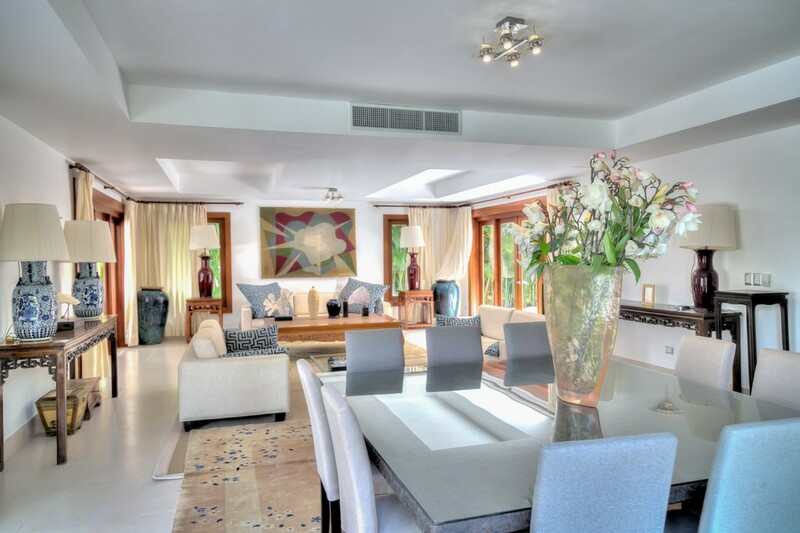 To the right is the large living room that is uniquely decorated, minimal yet sophisticated with designer furniture, beautiful drapes and printed ceramic base lamps. 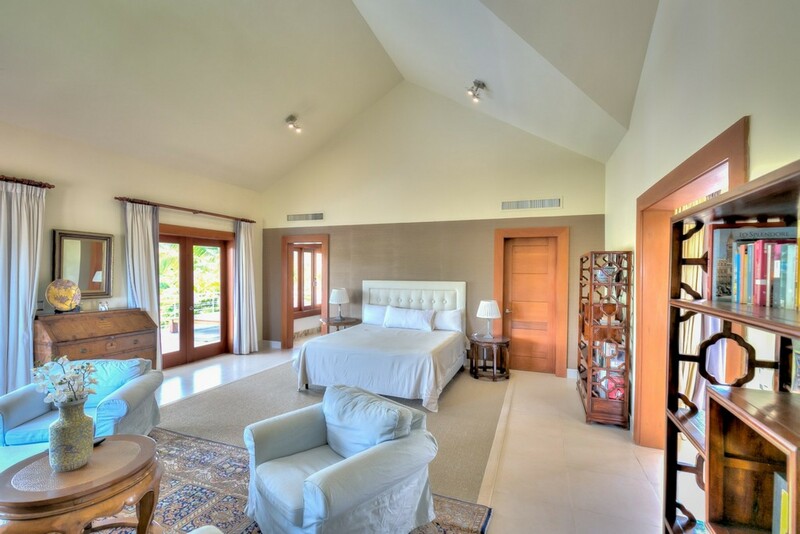 It has big glass windows with hardwood frames that let the light in throughout the room and that also give you wonderful views of the evergreen gardens. The intimate square dining room seats 10 people and also has beautiful views of the evergreen gardens outside and pool area. 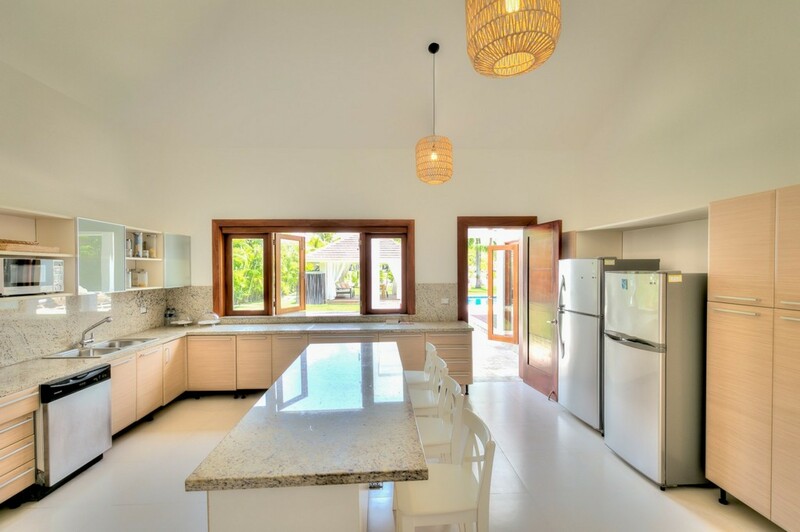 The fully equipped kitchen is modern, bright and spacious with an island that is centered where your family can gather in the mornings. 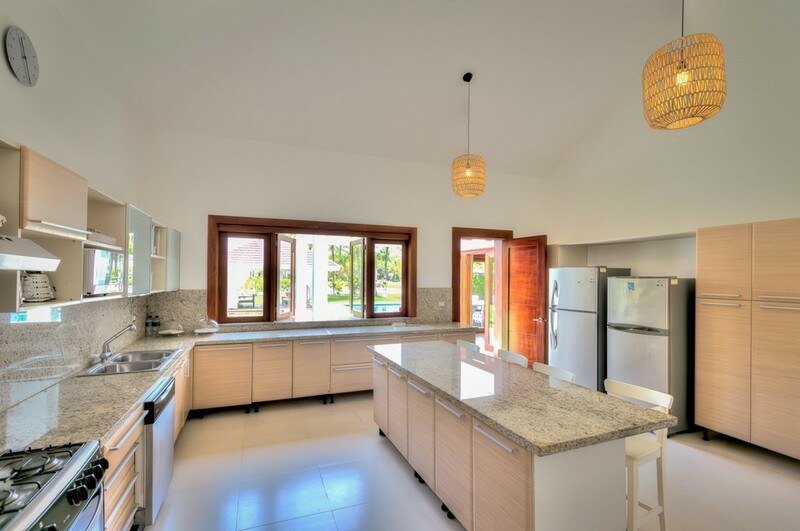 You can prepare breakfast for the kids, enjoy freshly squeezed juice, grab a cup of coffee and get ready for another day in Paradise. 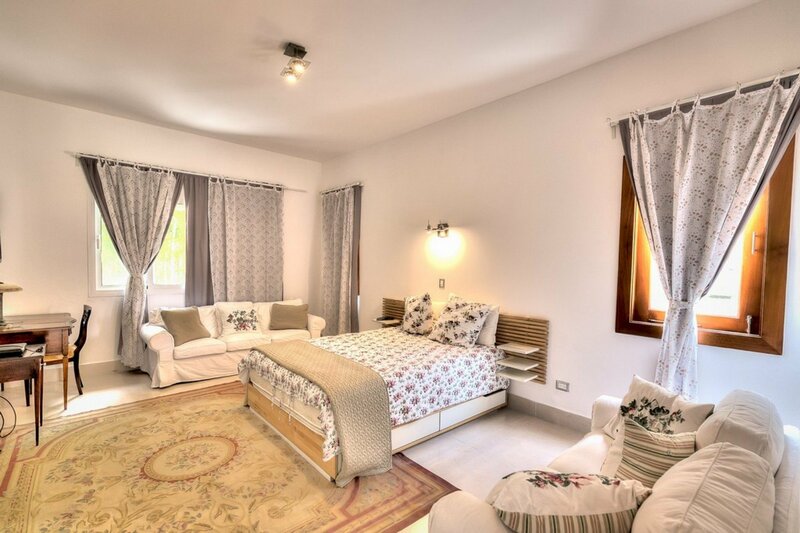 In this five bedroom villa, there are two bedrooms on the first floor, one with a king bed which is the most beautiful of rooms. It has a fabulous comfortable seating area so, grab a book of your choice from the gorgeous decorative bookcases and enjoy the gorgeous views of the outdoor area. The other bedroom on the ground floor has a queen bed. 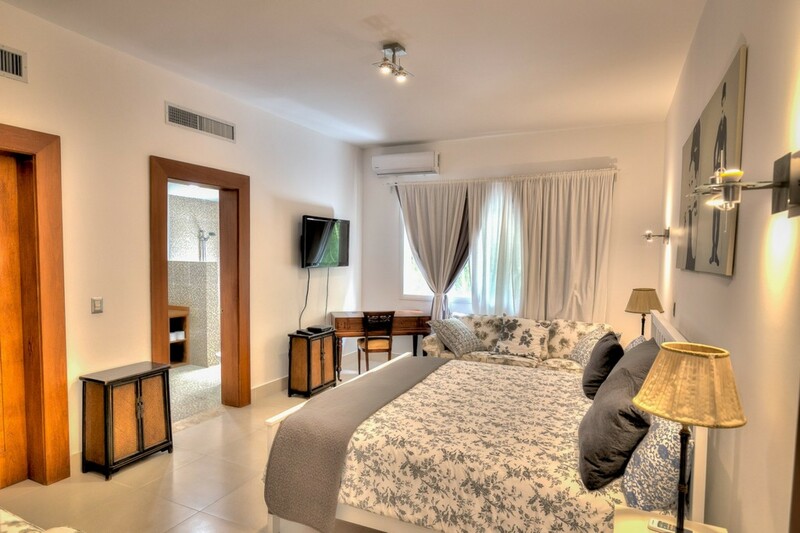 Both are lavishly designed and have TV, full bathroom with shower and walk-in closet. 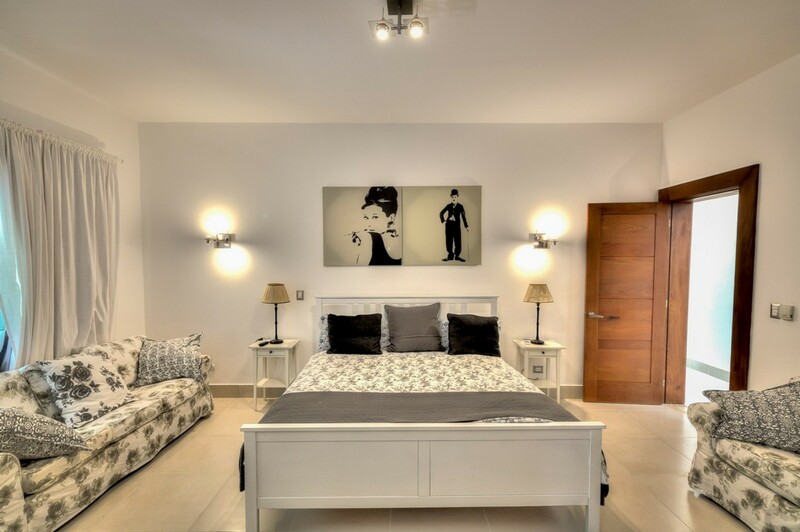 Taking the stairs to the second floor you will stumble upon the remaining three bedrooms. One has a king bed, the second two full beds which would make a perfect little girls bedroom with a gorgeous picture that’s similar Sleeping Beauty’s Disney world castle. The third bedroom has one a queen bed. 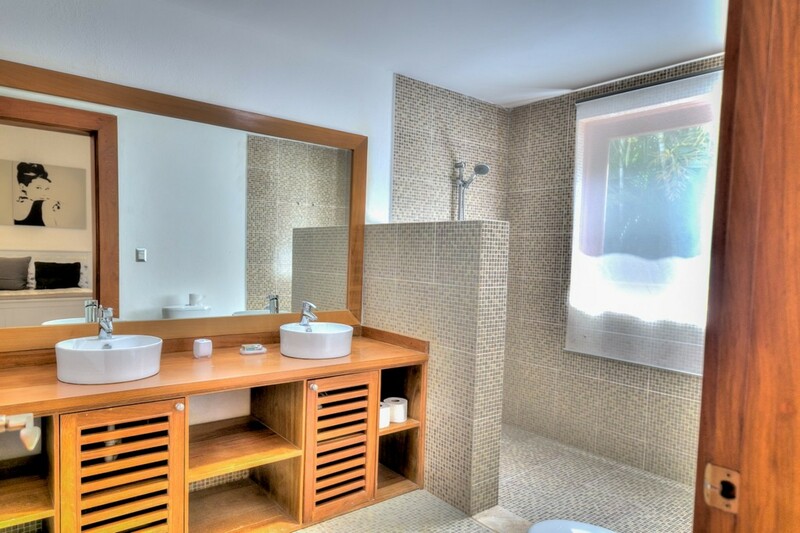 All have TV, a full bathroom with shower and walk-in closet. 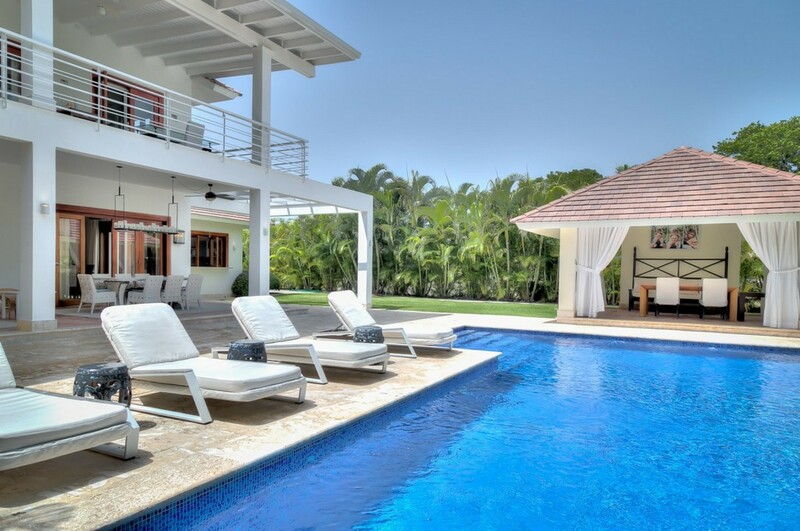 As guests of the villa, you have access to all amenities and every imaginable activity this exclusive resort has to offer. 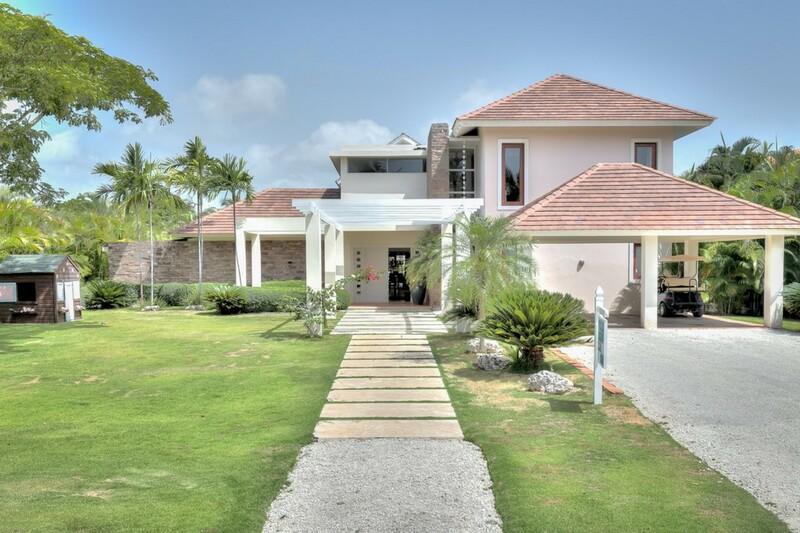 You can go snorkelling, swim with dolphins, go deep sea fishing play golf on one of the three world class golf clubs. Another popular attraction is the Indigenous Eyes Ecological Reserve and El Rancho which is a petting farm. You can even go on birdwatching tours. There is something for everyone to do in this exclusive resort. 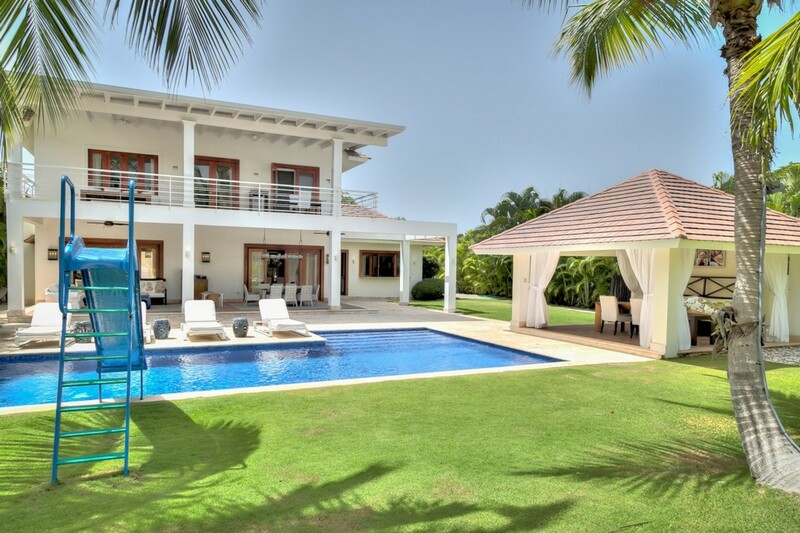 This villa state is located in the exclusive gated community of Punta Cana Resort & Club, a 26-square mile paradise and this popular resort has everything to offer for the ultimate Caribbean experience. The beaches are simply exhilarating with pristine powder white sand to stroll along while you’re soaking up the sun. This 3 mile long incredible coastline is blessed with a wonderful year-round climate. You can also take a dip in the natural clear blue crystalline Caribbean oceans that surrounds one of the best tropical shorelines in the world.